The Talkhouse is where artists talk about the work of other artists. The idea is to promote creative dialogue by having smart, distinguished artists from the world of music, of all genres and generations, write about the latest releases by their peers. And the twist: the artist who’s being written about is encouraged to respond. Each week TIDAL presents one of our favorite new Talkhouse pieces. 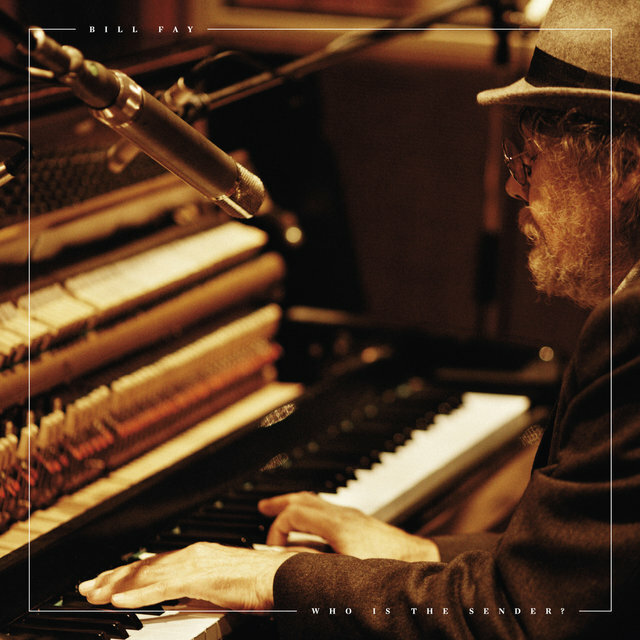 The second song on Bill Fay’s new album Who Is the Sender? opens on a forested hill. Fay paints a peaceful tableau: leaves drifting through the air, a bee buzzing past, birds singing off in the distance. It’s a calming scene. In verse two, Fay’s attention floats upward, into the sky, where a hawk is floating. “He ain’t praying for forgiveness,” Fay tells us about the hawk, “it’s his nature to kill, but mine isn’t.” There’s something calm, removed, merciful in Fay’s voice — it’s reassuring, but we’re also not sure why he’s telling us this. As he sings the drawn-out phrase “the war machine,” which he repeats, the 71-year-old’s voice sounds impossibly frail, full of sorrow. It’s devastating, and you can’t argue with it. But Fay goes further, in an extended coda. “There won’t always be the war machine,” he says. He says it again. And a third time. There’s comfort in what Fay’s singing, and there’s a defiance underneath it, but that defiance comes from hope, not from anger. And you believe him. When Bill Fay sings, you always believe him. This is a musician who has spent most of his career shut out of the music business but who doesn’t seem bitter about it, and you simply don’t believe he has any reason to lie to you. I will always remember the first time I heard Bill Fay. It was in the early part of 2006, when I moved out of my house in East Austin and decided to take a long and head-clearing road trip around the United States by myself, stopping off in cities where I knew people, with the eventual goal of ending up in New York. One evening I passed through Bloomington, Indiana, the home of my record label at the time, Jagjaguwar. Chris Swanson, one of the label heads, was wrapping up a shift at a video store he was part owner of, and before he closed up and we went to get a drink, he insisted on playing me a song by Bill Fay, loudly, through the speakers of the store. The song was called “I Hear You Calling.” It began: urgent eighth notes on a hi-hat, a pretty piano arpeggio, and then on top of it a voice that sounded very gentle and very English, almost like Ringo Starr but with a frayed edge, with more vocal technique and also more pain — much more, a deep, almost bottomless ocean of pain, of fear. “I hear you calling,” Fay said, over and over again, to someone he wanted to come help him, to deliver him. And then I realized: that someone was Jesus. The drums kicked in. The song opened up. There was actually an awesome little groove there, with a cool, sedated-rock electric guitar on top. It was so odd, hearing this gorgeous song washing through this empty video store, this arrangement that was so cool, but with a singer on top doing the least cool thing I felt like you could do at the time, which was call out to Jesus Christ for help. As it happened, I was familiar with calling out to Jesus Christ for help. My Catholic upbringing had a profound influence on me, and like many people who grew up in the Catholic church and then went out into the wider world, I’d spent my life bouncing back and forth between repulsion for everything that seemed monstrous about the church and attraction to the Jesus I’d learned about as a kid, who loved everyone no matter who they were and what they’d done, who stood up for the people nobody wanted to look at or even think about, who cast the moneychangers out of the temple even if it meant he was going to be killed for it. When you grow up with religion, every detail of the universe seems charged with magic. And then you go out into the world and everyone tells you that’s not the way it actually is. You think, at first, “They must be right,” but then you spend your life missing that magic so much that it hurts, wanting to find that magic again but not sure if you’re still allowed to look for it in the place you first found it. What I saw in Bill Fay was a man who was still looking in that same place, who lived in that place, and for whom God was an inexhaustible well of magic and strength and beauty. When musicians have unshakeable faith, it can give their work an unparalleled color and vibrancy. You can lean against it and it will hold you up. Think of the Staple Singers and how real their message feels, how much you believe it, even if only for the three minutes one of their songs lasts. Think of Alice Coltrane’s sublime devotional recordings at the Shanti Anantam Ashram, of the way Buddhism has deepened Leonard Cohen’s insight, of the moral vision Kendrick Lamar’s Christianity brings to his work, of the aching spiritual yearning of early Bob Marley. Even John Lennon’s atheist proselytizing has something like that effect — you feel like he believed in something intensely, and that belief was like a kind of devotion, and that devotion was more important to him, as a musician, than making money or getting laid or impressing you. And because of that you trusted him not to lie to you, and then the music became something more than entertainment — it became something that could help and even heal. That’s what Bill Fay has. In fact, I’m hard-pressed to think of a contemporary musician who has more of it than he does. On Time of the Last Persecution, Fay replaced the violins and French horns with a simple rock band — a rhythm section (bassist Daryl Runswick and drummer Alan Rushton) that could groove, Fay’s beautiful, music-box piano melodies, and an electric guitarist (Ray Russell, also the producer) whose playing occasional veered into an almost avant-garde dissonance. The whole thing felt frayed, terrified, the product of someone in psychological agony. It made you think of massacres, of Kent State, of bodies burning, of losing the fight, of everything going wrong in a way that couldn’t ever be fixed again. On the cover, a slouching, unkempt Fay looked like Charles Manson. Almost no one bought the album. It was deleted from the catalogue of Fay’s record label, and no label would want to touch him again for another 34 years. Fay vanished from a music world that had barely registered his existence in the first place. “I had come to terms with the fact that I was deleted,” he told David Marchese at Spin in 2012. Some late-’70s recordings with a band called the Bill Fay Group — not released until 25 years later (as 2004’s Tomorrow, Tomorrow & Tomorrow on the Durtro Jnana label) — show a Bill Fay who seemed to have come to terms with a lot of things. The harsh guitars had evaporated by then and the songs sounded airless, oddly muffled, cushioned with New Agey synthesizers. The music was just as beautiful, though; Fay singing about spiritual mansions, about strange mystical stairways, about brotherhood, the futility of war and violence. (Fay never sings about romantic love — or hasn’t since the late ’60s — he almost always sings about brotherhood or God or nature.) It’s clear, listening to these recordings, that nobody, at that point, is paying attention to Fay, or at least nobody will for decades, and that he’s made his peace with that. Bill Fay started creeping back into the musical consciousness in 1998, when the See For Miles label re-released his two early-’70s records. Very slowly, Fay’s work started gathering high-profile fans including Nick Cave, Jim O’Rourke and Jeff Tweedy, who frequently covered a song that has become a Fay calling card, “Be Not So Fearful.” Shortly after Chris Swanson played me “I Hear You Calling,” I moved to Brooklyn and Bill Fay seemed to be the name on every musician’s lips, though wide recognition of his work still eluded him. 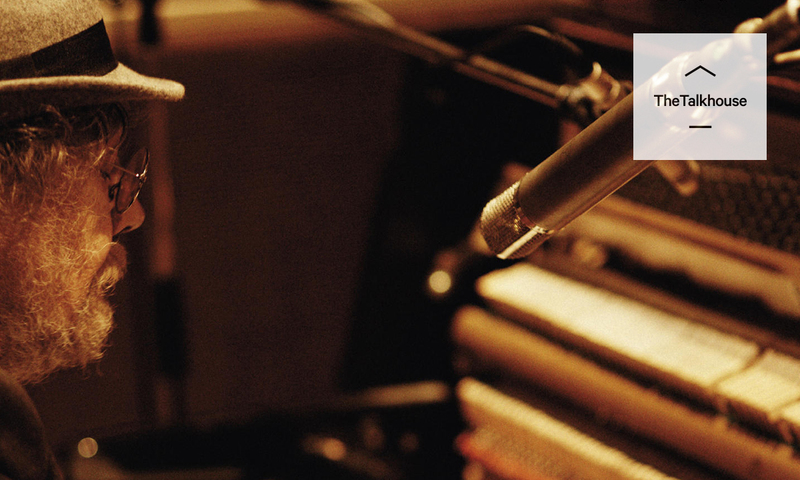 In 2012 I heard that Dead Oceans, an excellent sister label to Jagjaguwar, was going to be putting out the first Bill Fay studio release in 41 years. That release, Life Is People, was really good but not great. Admittedly, my standards were high — aside from Fay’s uneven debut, each of the small number of recordings he’s made has felt searingly perfect. I was thrilled with the prospect of a new Bill Fay record, but underneath that I was slightly disappointed with Life Is People. The album attempted to use Tweedy’s fandom as a selling point, shoehorning him into an ungainly duet on a jangly MOR pop song that sounded like off-brand Wilco and felt like it was beneath Fay. Fay went even further with his own cover of Wilco’s “Jesus, Etc.” — a nifty cover, but I don’t buy a Bill Fay record to hear him sing Jeff Tweedy songs. The producer, Joshua Henry, was clearly in awe of Fay, but the awe felt overpowering, the reverence laid on too thick. Just like Fay’s 1970 debut, Henry draped everything in surging strings, turned every song into an anthem. Humble songs that felt like they should have lasted two minutes went on for five, violins flying everywhere. You got a sense everyone involved was trying to sell Bill Fay — a noble goal, but the product seemed cheapened. Still, I understood and could even sympathize; when I made True Love Cast Out All Evil (2010), Okkervil River’s record with Roky Erickson (coincidentally, another unconventionally Christian artist and a musician with a similar magic swirling around him), the love and respect I felt for Roky was so overwhelming that I felt compelled to make my arrangements grand, sweeping, universe-sized, and I frequently had to ask myself whether I was crossing a line, whether I should check my ambition. Sometimes you can love something too much and dress it up more nicely than it needs to be dressed. I’m proud of True Love Cast Out All Evil, but if I were doing it again, now, I might perhaps do it differently. So I’m very glad to tell you that the follow-up to Life Is People — also produced by Henry and entitled Who Is the Sender? — is as close to a masterpiece as anything Bill Fay’s ever done. Henry and Fay have retained those orchestral arrangements, but this time they feel fragile and more off-the-cuff, in line with Fay’s delicate piano playing, only rarely pushing towards crescendo and usually in ways that feel asked-for by the song. Recorded in just 13 days, Who Is the Sender? feels grand but also human-sized, handmade, dynamic, imperfect, often pushing the arrangement ideas into the background to bring you as close to Fay as the mike into which he’s singing. And the songs Fay is singing are his strongest in decades — simple, tightly focused, of a piece. Stripped of the previous album’s sense of momentousness, Who Is the Sender? feels like a genuine statement in a way that no Fay record has since Time of the Last Persecution. But the Fay we get on Who Is the Sender? is very different from the Fay of 1971. This isn’t a distraught, disheveled young man, crying out in the darkness. This is a lifelong artist, humble, on his own private path, devoted to God and to peace and to nature and to his work, even through decades when no one was paying attention. It feels like Fay went through the agony of Time of the Last Persecution, the contemplation of Tomorrow, Tomorrow & Tomorrow, the long years in the wilderness, tending to his garden, watching seasons go by, and that his insight deepened and widened. He kept at his piano, paring away verses and bridges and additions that didn’t seem necessary, circling around the musical core of what he does, these music-box piano parts, these simple, mantra-like choruses where he bends the melody upwards on the last word of every line like he’s asking a question, thinking to himself about war, about why people kill, about what Jesus and God mean to him, thinking about the hidden message and melody within all nature, thinking about how he can put all this together to make a song that’s not a pop confection, not an innocuous love ballad, not a throwaway piece of musical fast food but instead something that can transform listeners, that exists to push them towards healing. It would be naïve to assume that healing is all Bill Fay’s after, to assume that he doesn’t want recognition, doesn’t want nice things said about him, doesn’t want money. I’m sure he must want those things, and I’d like for him to have them. But Fay’s faith and mission anchor him in such a way that we know that’s not why he’s doing this. He’s doing this because he’s thought about it for a long time and decided he has something he wants to say. What does he have to say? He says: war and hate and greed cannot last forever. He says: this can’t be all there is. He says: pay attention to nature, and to each other, and to little things that make you feel a sense of grace. He says: know that forgiveness is there if you want it. He says: there’s something beyond what we see. He says: there won’t always be the war machine. I’m just trying to sum it up, but I’m not really doing it justice. Just listen to the record. It sounds better when he says it. Will Sheff is the bandleader of Okkervil River, whose latest album is The Silver Gymnasium. His criticism and fiction have been published in McSweeney’s, Gawker, Magnet and the Austin Chronicle. Follow him on Twitter.